We provide life science workshops and curriculum resources for middle and high school teachers in the Chicago area. LET US HELP YOU create more engaging, skills-based learning experiences for your students using hands-on life science activities. No prior experience necessary, and we’ll provide the materials and equipment. For free. 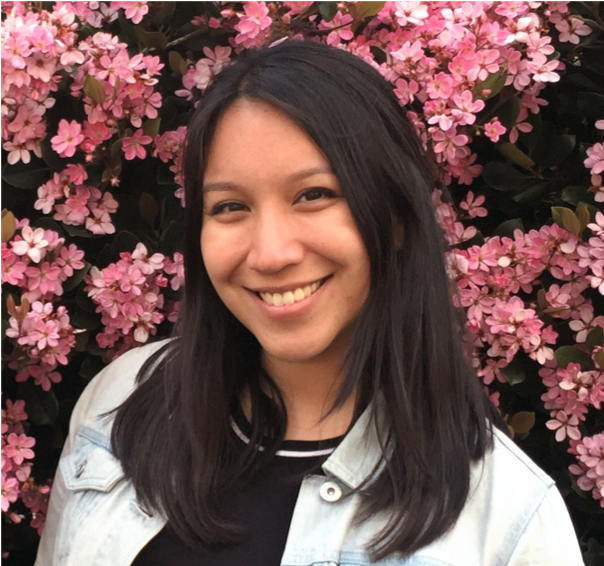 We are excited to introduce our new Program and Partnership Coordinator, Natalie Bueno. She will be leading our new outreach center, Baxter Center North, with Round Lake Area Schools. What brought you to BCSE? I loved my work with WISCIENCE, a department that supports STEM education at UW-Madison. So working with BCSE seemed like a great opportunity to connect with students earlier on in their STEM and manufacturing careers. I had the privilege of working with Dr. Paul Williams at UW-Madison. He directed the Fast Plant Program which connects people from all backgrounds to fun and interactive STEM activities. What is your favorite STEM subject? I love math! It can be difficult at times, but it is rewarding to work through challenges. I also am interested in biological sciences and studied Neurobiology in college. What teacher had the biggest impact on your life? My High School Biology teacher- she supported my interests in evolution and genetics. We are still in touch today! I would like to be fluent in three or more languages. As a Chinese, Mexican American, I have had exposure to different languages, however English is the main language spoken in my household. Whether you’re new to teaching life science or you’re a pro looking for more training, we can help you "think outside the kit." Our professional development workshops, provided at no cost to teachers, give you the chance to try out great lab activities with the help of academic and industry professionals. Help us investigate crime scenes with candy and DNA gel electrophoresis! New to the Baxter Center? 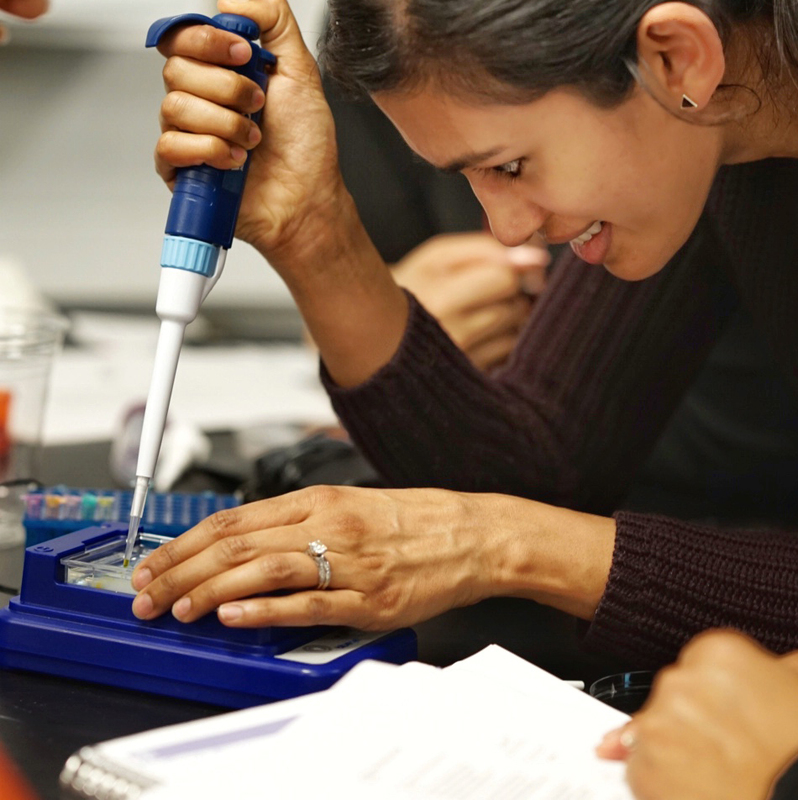 Try this introduction to 21st-century lab skills and practices, including pipetting, culturing bacteria, and DNA gel electrophoresis. New to the BCSE? 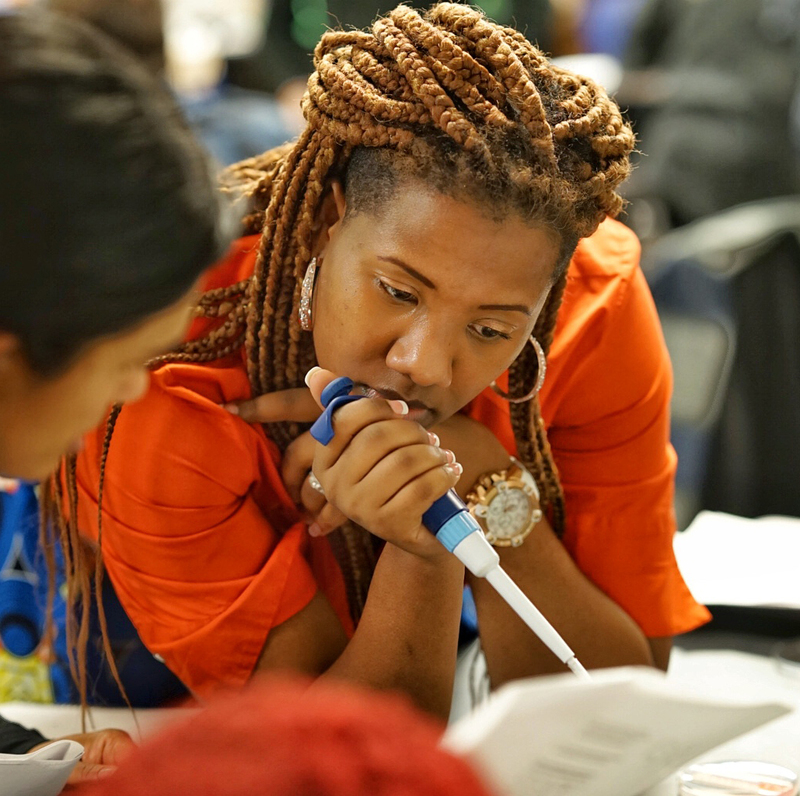 Try this one day introduction to 21st-century lab skills and practices, including pipetting, culturing bacteria, and DNA gel electrophoresis. Applications for this workshop are being accepted now! We have the supplies and equipment you need to bring cutting-edge life science activities to your classroom. Teachers who are trained in our professional development workshops are given free access to our Baxter Box materials and equipment loaner program. Doing high-level, hands-on labs with students is always easier with a helping hand. Once you’re part of the BCSE community you’ve got our support. We offer webinars, video chat "office hours," and an open phone line for you to get the help you need to keep your students engaged with lab activities. We will also visit your classroom to help you implement the labs you learn with us. The BCSE allows teachers to stay up to date with the advancement of technology in science. By helping the teachers stay up to date and by providing activities that can be implanted into the classroom, it allows the future generation to have exposure to new developments in biotechnology at a young age. This hopefully will inspire the students to pursue careers in science. The BCSE helps out teachers who teach at schools with limited resources get the resources and instructive know how they otherwise would not be able to obtain. Holy moly, this center is GREAT! I appreciate your outreach, enthusiasm, and expertise. It is really amazing to have this kind of access to a research institution and you are all so helpful in making this type of science accessible to our students.